Successfully Added No.1 G6 Sports Watch - Heart Rate Monitor, Pedometer, Sleep Monitor, Sedentary Reminder, Bluetooth 4.0, APP ( Black TPU) to your Shopping Cart. No matter your fitness goals, the No.1 G6 sports watch will get you there. Whether you wish to lose weight, gain muscle, or work on your cardio – with this fitness tracker nothing is impossible. The Bluetooth watch comes with an abundance of smart health features. Thanks to these, you’ll be treated with accurate analysis on your current activity levels. Based on this information, you’ll be able to fully adjust your future workout sessions to gain the fastest results imaginable. From now on, you can get serious in working towards your ultimate fitness goals. With this Bluetooth watch at your wrist, you’ll be able to get there in the fastest and most efficient manner. An accurate pedometer is in place to keep you constantly updated about the number of steps you took throughout the day. Like this, you’ll always be sure that you’re meeting your daily activity levels. Additionally, it shows you the total distance that you have covered. Your Bluetooth watch also has a heart monitor. This smart health feature provides you with detailed information on your current heart rate. Based upon this info, you’ll be able to accurately adjust the intensity of your upcoming workouts to meet your personal capabilities. Thanks to this, the watch lets you train your body in the most efficient manner. A sedentary reminder is furthermore in place to make sure you’ll never miss out on your daily exercise session again. The Bluetooth watch can be easily synchronized with your smartphone. It supports both iOS and Android phones so you can be sure it will work properly with the vast majority of cell phones out there. Thanks to its built-in speaker and microphone, the fitness watch allows you to listen to music and make calls straight from your wrist. It furthermore keeps you updated on social media notifications. With its 380mAh battery in place, you’ll be able to enjoy all this fitness watch has to offer for hours in a row. 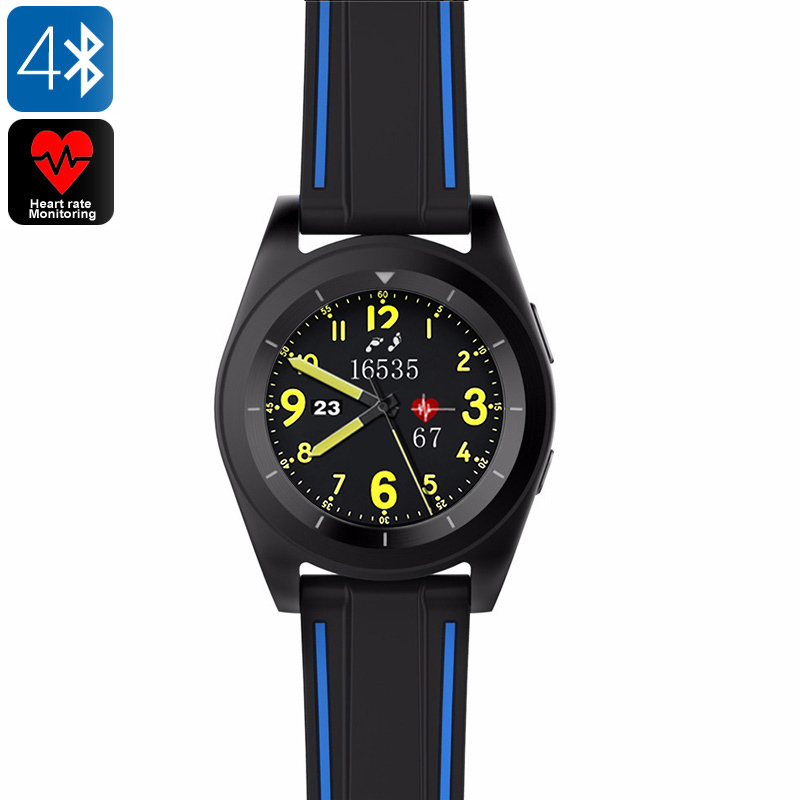 The No.1 G6 Bluetooth Watch comes with a 12 months warranty, brought to you by the leader in electronic devices as well as wholesale electronic gadgets..